The site of an early 1900s training school for African Americans is now one of the most technologically advanced, energy efficient buildings in the state. Northside Elementary School, in Chapel Hill, has been awarded Platinum LEED certification from the U.S. Green Buildings Council. It's one of only 40 schools in the country to achieve such status. 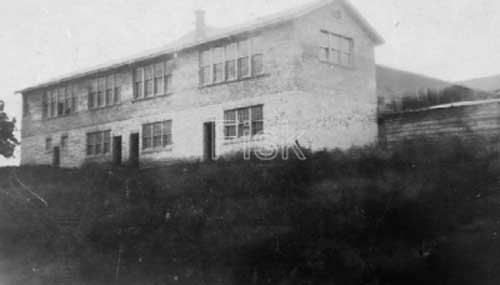 The site was first founded in 1916 as a Rosenwald School - designed specifically for the advancement of young African Americans. But the building suffered a fire in it's early years, and in 1924 was rebuilt and reopened as the Orange County Training School. Over the decades, before integration, it would undergo several name changes, before eventually settling on Northside Elementary in the 1950s. Now, the site includes a rooftop garden, porous parking lots and playgrounds to reduce storm water runoff, and occupies less than 7 acres of land. By achieving Platinum status, the building is among the most energy efficient schools in the country. The idea behind LEED certification is that it ensures the school system is getting the savings it expects. "A lot of people say that they design to LEED, but they didn't actually go after [the certification]," said Ashley Dennis, project manager for Moseley Architects, who designed the school. "And that's great. But it's kind of taking that next step to say, 'We've designed to this, now we've checked behind ourselves. The systems are doing what they say they're doing. They're actually saving the energy they were projected to save.'" Beyond being good for the environment, the school itself is also a learning tool for its young students. "It allows the students to learn about working with the Earth and being a part of it," said Dennis. "There's a lot of signage around the school that helps the students understand what's going on in their school, what makes it different, what makes it sustainable." (Left) The Playground at the Orange County Training School. (Right) The playground at the new Northside Elementary School. Dennis and her team worked with the community and with alumni of the old Northside to make sure the building both blended in and paid homage to its roots. "The alumni that had gone to that school had a really rich history... We didn't want that to be lost just because the building wasn't there anymore. So we have a history wall that walks through the history of the site." North Carolina does have a handful of other LEED certified schools, though Northside Elementary is the only one at the platinum level. 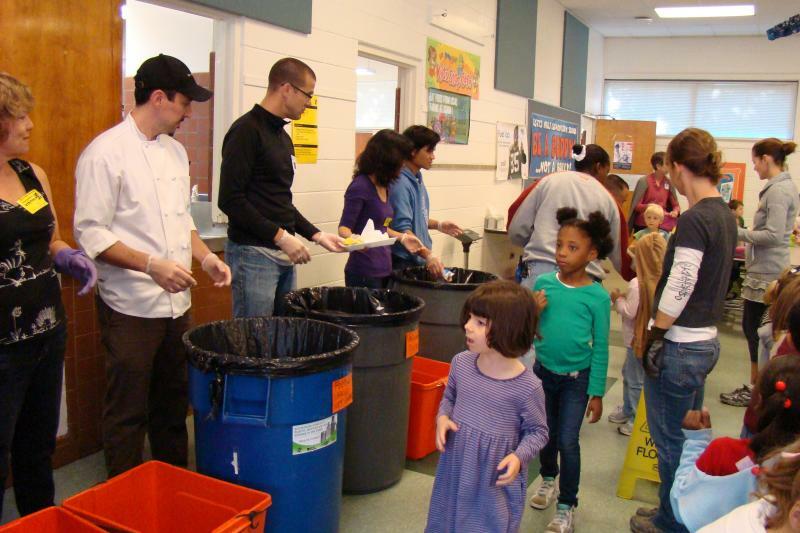 Schools in Chapel Hill and Carrboro have launched a district-wide composting program in their cafeterias. The program started on the first day of classes in 15 elementary and middle schools. Many individual schools in North Carolina have started composting, but few districts have created their own programs. Dan Schnitzer, sustainability coordinator for Chapel Hill-Carrboro City Schools, says the schools will be able to use some of the compost their students create. More than 300 teachers across the state have participated so far in our #TeachingInNC project. It's where we ask teachers to give us a snapshot of their lives, using words or pictures. We hope that, collectively, these snippets will give "the rest of us" a sense of what it's like to be a teacher in NC. 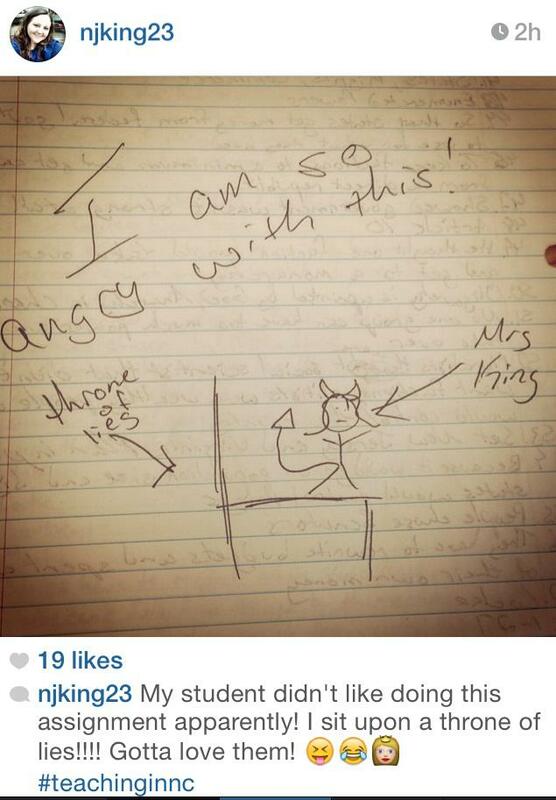 Most teachers are sending in their snapshots via Twitter, but some are using Instagram. This one made us laugh. >>Browse all 701+ submissions here. College pennants hang from every open space in Chuck Hennessee’s classroom at Culbreth Middle School in Chapel Hill. He’s even strung some up on clotheslines from one side of the room to the other, so you have to duck to avoid them. But for Hennessee, it’s been a few years since his own graduation. “I am a better teacher in my 29th year now than I was in my 25th and much better than I was in my 20th, my tenth, and it doesn’t even compare to my fifth and first year,” says Hennessee.